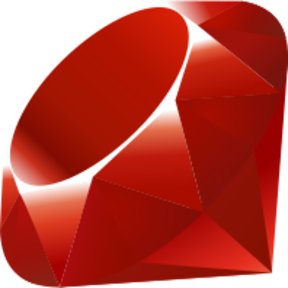 Ruby was developed by Yukihiro "Matz" Matsumoto in 1995 with the intent of having an easily readable programming language. It is integrated with the Rails framework to create dynamic web-applications. Ruby's syntax is similar to that of Perl and Python.